The versatility and performance of the latest Profi TI series air hoists, from J D Neuhaus (JDN), ensures their suitability for a wide range of applications in the process industry, from food, beverage and packaged goods, to chemical, pharmaceutical and biotech. JDN’s range of Profi TI air hosts is extensive (up to 100 tonne carrying capacity), but models in the 0.25 to 2 tonne lift capacity range are proving increasingly popular for process industry applications. A number of infinitely variable speed-control systems (including remote control) help users achieve accurate load positioning. Various different trolleys can also be offered to meet customer demands. Of particular note is the low-headroom design. When only low headroom is available and standard trolleys do not meet the application’s requirements, JDN low-headroom trolleys are recommended. There are many advantages of using JDN low-headroom trolleys, such as a low-wear patented motor-brake system thanks to fewer components and no additional motor lubrication is required. Users can enjoy a two-step travelling speed and changeable track width options. The trolleys are able to negotiate curves, while longer crossbeams further improve the minimum headroom. Numerous benefits are provided by Profi TI hoists. For example, these easy-to-operate, lightweight hoists are suitable for use in hazardous areas and are insensitive to dust, vapour, humidity and temperatures ranging from -20 to +70°C. Profi Ti hoists can also perform continuous work, extended duty cycles, provide fail-safe starting conditions and overload protection. Fast lifting and lowering speeds can be achieved, even at full load. Additional benefits include minimal maintenance. For example, Profi TI hoists house a low-maintenance vane motor, and the chain sprocket in the mid-section runs in dustproof, maintenance-free ball bearings. The planetary gearbox utilises long-life grease lubrication and all teeth are made of tempered or hardened high-grade steel, while the chain and hook are also made from high-quality tempered steels with a breaking strength of five times the nominal load. These design features highlight JDN’s commitment to safety, which is the company’s top priority. Ultimately, process industry users get to enjoy robust, quick, silent, oil-free hoist operation. 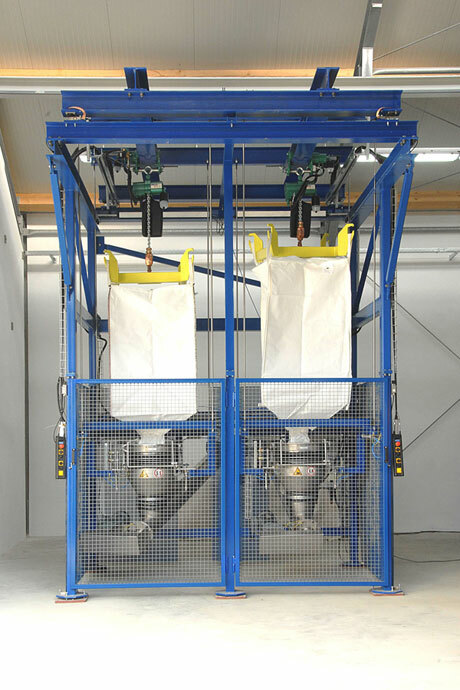 Furthermore, the hoists are purpose-designed to offer the process industry’s most efficient air-consumption rates per metre lift (as low as 0.7m³/min in some applications), helping to reduce TCO (total cost of ownership).